Why am I gaining weight on the ketogenic diet? The keto diet works for such a high percentage of people because it targets several key underlying causes of weight gain, including hormonal imbalances, especially insulin resistance coupled with high blood sugars, especially in those who have type 2 diabetes or hypoglycemia. The common cycle of restricting and “binging” on empty calories due to hunger that so many dieters struggle with, is not common with those who adopt the keto lifestyle and the healthy whole foods that are on it’s food list. Rather than counting calories, small portion sizes, and excessive exercise, which require unrealistic will power (especially when your energy levels are low due to restriction), the ketogenic diet takes an entirely different approach to weight loss and health improvements. It works because it changes the “fuel source” that the body uses to stay energized. The body goes from burning glucose (or sugar) to dietary fat and fat stores within the body. The keto diet does not require any calorie counting; the restriction is virtually eliminating all foods that contain sugar and starch (carbohydrates). These carbohydrate dense foods are broken down into sugar (disrupting insulin and glucose) levels in our blood once we eat them, and if these levels become too high, extra calories are much more easily stored as body fat and results in unwanted weight gain. However, when glucose levels are cut off due to low-carb dieting, the body starts to burn fat instead and produces ketones that can be measured in the blood. Rather than drawing energy from glucose, a person in ketosis stays fueled off of these circulating ketones or ketone bodies — essentially, burning fat for fuel. This is the principal goal of the ketogenic diet, which can be achieved by adhering to the macronutrient targets below. The keto diet is low carbohydrate, high fat and moderate protein. 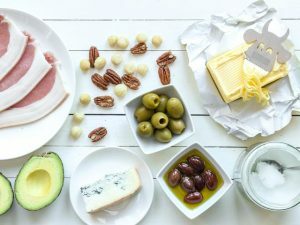 Why do people still gain weight on the keto diet? They are consuming too much protein. When the body consumes too much protein it will be metabolized and converted to glucose, which will break the fat burning ketosis, resulting in weight gain if too much protein is consumed. The keto diet’s 15-20% protein typically is 2-3 servings of protein per day, which would fit into each meal naturally. Not consuming enough fat. There is a stigma around fat, people avoid it due to the higher amount of calories it contains thinking that if they eat less of it they will lose weight. This could not be further from the truth; our brain and metabolism require healthy fats to function at their optimal level. Healthy fats nourish cells, fight inflammation, and keep us feeling satisfied, resulting in fewer cravings. If the recommended 70-85% target is not met daily, the body may feel deprived and could end with binge eating on foods that would break the fat burning ketosis. Some programs are just not for everyone. I am a promoter of the ketogenic diet because science has proved that it helps regulate hormones and appetite through steady insulin levels and using ketones as primary fuel source. 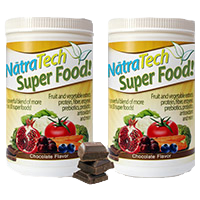 But, if this diet is being followed properly and the person is still not losing weight then it may not be their best option or there could be another metabolic issues going on. Each individual body adapts differently and metabolic flexibility is different for everyone. It is important to always check in with a qualified health professional and have them see if there could be other issues going on with thyroid or adrenal function. Not listening to their body. If you ignore your hunger cues and over eat on the keto diet then you will still gain weight. Calories should not be restricted but you should also be eating normal portion and not feel excessively full. The ketogenic diet can require additional water consumption. The glycogen stores in our muscles hold onto water and when they are depleted through ketosis additional water consumption is required. I recommend at least half of your body weight in ounces of water per day. 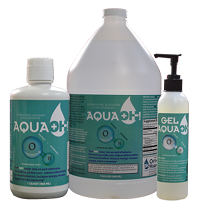 Decrease inflammation even more by consuming alkaline hydroxide water (AQUA-OH!) it is my personal favorite. It also helps with ultra-hydration(your body will produce more water than you drink) and helps clean out our detoxification pathways. This will help a little with weight loss.